It’s possible to account for the English canon’s emphasis on the middle purely as a matter of dramatic interest. Unlike earls and princes and duchesses, the gentry and the striving bourgeoisie are people with places to go, with something to gain…and to lose. Still, compare the English novel of this period with the Russian — all those counts! — or with Proust’s elaborate explication of the Guermantes line, and you remember that aristocrats have plenty to lose, too, starting with reputation. (Indeed, questions of reputation animate some of Downton Abbey’s key plotlines.) And surely readerly interest in lifestyles of the rich and fabulous isn’t a new phenomenon. In fact, I suspect that the overlay of aristocratic intrigue in a novel like Vanity Fair is an attempt to satisfy it. Is Google making us stupid? Is reading in America a dying pursuit? Will novel srviv in age of twtr? String together enough of these think-piece propositions, and you begin to notice a pattern. Ostensibly open-ended, their very existence presumes an answer in the affirmative: yes, Google is making us stupid…at least, too stupid to entertain the possibility that this is other than a yes/no question. But if, as Grossman suggests, the “literary megafauna of the 1990s” no longer roam the earth, how to explain Time’s interest in Freedom (576 pp)? Moreover, how to explain the thicket of big novels that surround it on the shelves of America’s bookstores – not only Witz, but also A.S. Byatt’s The Children’s Book (675 pages), and Brady Udall’s The Lonely Polygamist (599 pp), and Rick Moody’s The Four Fingers of Death (725 pp), and Karl Marlantes’ Matterhorn (592 pp), and Ralph Ellison’s Three Days Before the Shooting (1136 pp), and Hilary Mantel’s Wolf Hall (560 pp), and Javier Marías’ Your Face Tomorrow trilogy (1255 pp) and Adam Levin’s The Instructions (1030 pp)? Surveying those shelves, one begins to suspect that the spread of micro-designations like “literary megafauna” (or less charitably, “phallic meganovels”), rather than the plenitude or scarcity of the species in question, is the true marker of our changing culture. Not so long ago, the phrase “long novel” was no less redundant than “short novel.” The serial publication practices of the 19th Century nudged the Victorian novelist toward amplitude. 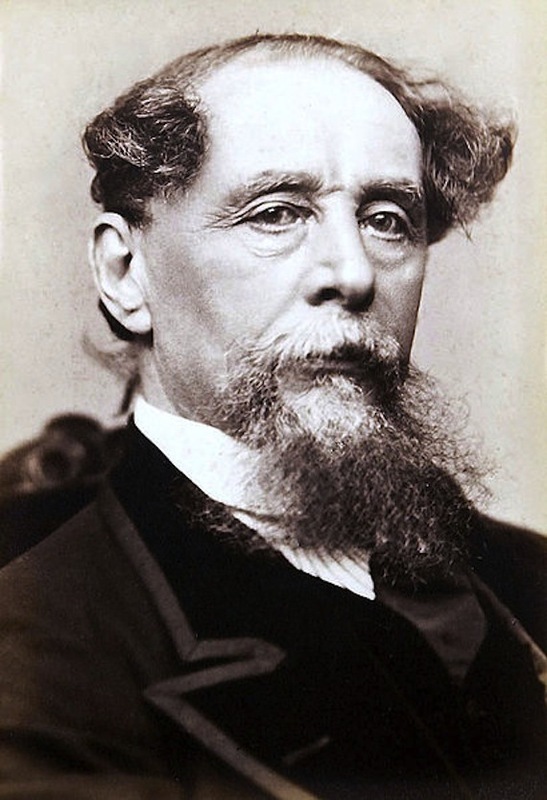 Multiply 16 (the number of pages in a signature) by two (the number of signatures in an installment) by 20 (the number of installments favored by Dickens and his publishers), and you get 640 serial pages – the length, give or take, of Dombey and Son, Little Dorrit, and Bleak House. Not to mention Vanity Fair and Middlemarch and Daniel Deronda… Soon, Trollope would be conceptualizing his novels explicitly as two- or three-volume affairs. My Oxford World Classics edition of Barchester Towers retains its two-volume pagination; it runs from 1 to 271, and then from 1 to 280. Toward the end of the second volume, the author begins to make asides about having to reach a certain page count. In the age of offset printing, the long novel is more heterodox. Not much unites Moody and Marías and Mantel, other than the fact that they are currently stacked half-read on my nightstand. (There’s nothing like the birth of a child to foreground the sheer length of a book in one’s mind.) To yoke these writers together is thus to risk several kinds of reductionism. Most importantly (and speaking of Trollope): one doesn’t want to conflate geometric greatness with the aesthetic kind. Some of the best novels I’ve read recently are shorter than American presses tend to publish. (In the Spanish-speaking world, in particular, the short novel seems to have thrived in a way it hasn’t Stateside. A parallel essay may be warranted). Still, the current profusion of long novels would seem to complicate the picture of the Incredible Shrinking Attention Span. Publishers’ willingness to take a chance on a long book circa 2010 may be directly connected to chances taken in the past. The fierce bidding, in 2007, for Jonathan Littell’s The Kindly Ones (992 pp), a demanding work in translation, surely owes something to the rapt reception of Roberto Bolaño’s The Savage Detectives (600 pp) and subsequent widespread anticipation for 2666 (912 pp). McSweeney’s may be hoping The Instructions repeats the success of Chris Adrian’s The Children’s Hospital (615 pp). And David Foster Wallace’s Infinite Jest (1104 pp) continues to have a remarkable second life on the backlist, which is still the publisher’s bread and butter. Biographical books and articles by David Lipsky and D.T. Max, as well as copious online discussion, sustain interest in the book. A clerk at a local bookstore told me last week that, for the last two months, it’s been flying off the shelves. Indeed, après Jest, doubters may catch a whiff of decadence, or at least self-consciousness, around the efforts of Cohen, Levin, and other candidates for wunderkindency. For a deeper explanation of the long novel’s enduring health, we have to look toward something harder to quantify: the construction of the reader. The more we’re told we’re becoming readers of blogs, of texts, of tweets, of files the more committing to a big book feels like an act of resistance. To pick up a novel in excess of 600 pages is to tell oneself, “I am going to spend twenty-four to forty-eight hours of my life with a book, rather than the newspaper, the internet, or the smartphone. I am going to feel it in my muscles” (Some will object here that lugging Infinite Jest on the subway is more a way of saying, “Look at me!” But surely matters of style, and of gender, are at play here; no one levels the same charge at readers of Marguerite Young.) The desire to escape the hive-mind of cyberspace – to be, once more, a solitary reader – may also be at play in the rise of “the Kindle-proof book”: the book so tailored to the codex form that it can’t yet be reproduced electronically. Think of The Original of Laura, or of Reif Larsen’s The Selected Works of T.S. Spivet, or of New Directions’ editions of B.S. Johnson’s The Unfortunates, or Anne Carson’s Nox (actually more of a scroll), or Robert Walser’s Microscripts. At the very least, the current boom, or miniboom, in big books should tell us that novelists still believe in this kind of reader. In the end, this may be enough to ensure her survival; just as the audience shapes the writer’s habits, the writer, by the demands she chooses to make on her imaginary readers, calls her audience into being. 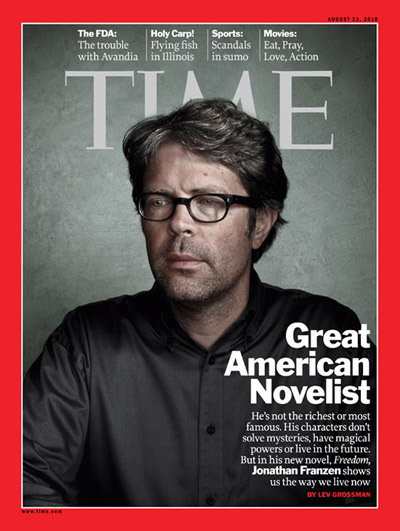 One of the underappreciated things about Franzen is that he writes as if the novel still (as Benjamin Kunkel puts it) “dominate[s] the landscape like a mountain range.” And lo and behold, there he is on the cover of Time! One doesn’t want to draw a veil over the various corporate machinations that made that possible. At the end of the day, though, a large number of readers are, like their 19th Century antecedents, currently reading and thinking about and talking about a work of fiction whose physical dimensions signal a corresponding largeness of intellect and spirit. Surely, we can agree that that’s a good thing. For amid all the debatable, slippery stuff about our evolving consciousness, the relationship between the novel and a certain quality of attention appears to be inescapable. Whether in long or otherwise demanding books, or in long or otherwise demanding sentences, or in prodigious subtleties of perspective, writers of the 21st century continue to seek out an audience possessed of that attention. And, in defiance (so far) of predictions to the contrary, readers keep rising up to meet them. Hiking is the only form of exercise I actually enjoy. Luckily, I live a mile from the San Gabriel mountains with their tangle of steep trails. In the last year, as I’ve hiked, I have begun listening to stories and novels on my iPhone, and this has transformed an enjoyable pastime into a deep pleasure. Recently I described my new habit to another novelist, who recoiled, shaking her head. “I’m a firm believer in the imaginative space created by the printed page,” she said. So what about the imaginative space created by the audible page? Of course, sitting and reading, lying down and reading, chaise lounging and reading are lovely; the body is still, eyes scan the page, the brain avails itself of the printed words, interior worlds bloom. Scientists tell us that, when reading, we have the same, if muted, responses to described or dramatized experience as we do to the real thing. Muscles tense. Hearts pound. Tears well. If I am seated or reclining and still, I much prefer reading the printed page. Being read to is too passive an activity, I’m apt to get restless or, worse, fall asleep. Walking, however, my listening capabilities are enhanced; simple physical activity, I believe, sharpens concentration by occupying the senses just enough to allow a purer attention to the narrative. In this sense, walking is like doodling and knitting, which busy the hands and free the mind. (I always wondered why my grandmother loved to knit as she watched TV.) When hiking, I’m watching my step, I’m noting wildflowers, poison oak, the view; I’m keeping an eye on the dog, looking out for snakes; meanwhile, my deeper attention is engaged with the story leaking from my ear buds. I have listened to news podcasts, and interviews, but these tend to make me mutter and twitch. Narrative and walking—as Chaucer knew—are a fortuitous match. They twin beautifully; listeners follow the plot, the thread, the branching path. Words and heartbeats, sentences and breaths, steps and plot align in ever new, complementary rhythms. And there is another result: the landscape becomes festooned with fictional memories. Clouds in the staring sky transmit to one another, by means of slow signs, incredibly detailed information regarding him. His inmost thoughts are discussed at nightfall, in manual alphabet, by darkly gesticulating trees. I don’t remember where I read the physical books I read. I must have read them somewhere—in bed, on the couch, in chairs about the yard. A rocky switchback on a different trail recalls “Lawyer Kraykowski’s Dancer,”Witold Gombrowicz’s obsessive stalker who responds to insult as most of us respond to tender endearment. That madman shares those uphill miles with the more benignant huffing and sputtering Mr. Panks—not to mention the debtors prison and the Office of Circumlocution, the mild Mr. Clennam, the sweetness of Little Dorrit, the Madoff-like ruin of Mr. Merdle—40 hours of hiking with Little Dorrit claims a broad swath of ground. At the gates of an old estate I wept at the last paragraphs of Alice Adam’s “Roses, Rhododendron.” By a one-mile marker, I wept as Tobias Woolf read Stephanie Vaughan’s “Dog Heaven.” And here in my own neighborhood, a green-tiled house is inextricably tied to the moment when, on a quick walk, I listened as Michael Henchard, bedeviled by rum at a country fair, sold his young wife (and child) to the highest bidder in the very first chapter of The Mayor of Casterbridge. Thus, miles are walked, books are read and the landscape is littered with dialogue and description, desolation, striving and love. Literary moments are overlaid on views, scattered along the trail, and hung like ornaments on the rocks and bushes, the slow clouds and darkly gesticulating trees. Resources for reading and walking: Miette’s Bedtime Story Podcasts, New Yorker Fiction Podcasts, and Audible Books.